In 1872 J. Sterling Morton proposed that a special day be set aside for the planting of trees. One hundred and thirty three years later we celebrate this day as Arbor Day on the last Friday of each April. How members are expected to participate? Our club participates by purchasing and preparing sapling spruce trees and delivering them to the local 3rd grade elementary school children. We deliver over 160 trees to the students. Students hear a short program on the importance of trees in our lives and in our environment. Needed: 11 to prepare, deliver and speak. The South Haven Garden Club maintains the setting and plants surrounding the Blue Star Memorial Monument. This tribute to the Armed Forces of WWII is located on the East side of Lakeview Cemetery, on Blue Star Highway, just south of the police & fire station. Our Memorial has special meaning to the South Haven Garden Club. In 2003 the discarded remains of the original memorial were found in multiple locations near the woods north of Van Buren State Park. It took over 6 years to recover, repair, relocate, design and install the current Blue Star Memorial. On September 19, 2009, a rededication was held. Join this project to maintain the garden surrounding the Blue Star Memorial Monument. This entails an early spring cleanup, planting of annual flowers, fertilizing, mulching and installing new flags in honor of Memorial Day. Every week we weed & dead head plants to keep the garden looking pretty. Keep an eye on rainfall & water as needed. In the fall plant mums & red tulips and lightly fertilize. We put the garden to bed for the winter with a final cleanup of flowers & shrubs, pruning as needed, etc., and replace flags for winter. How many volunteers are needed to do what? Plus; all club members are encouraged to stop by for a quiet moment to weed and deadhead the garden or just to feel the pride this memorial represents. The club provides flowers and other gardening materials averaging $200. The South Haven Garden Club held its 50th annual Standard Flower Show on Sep 12-13, 2014 at the South Haven Memorial Library. The date, time and location for the next Flower Show will be announced later. Members submit Artistic Design and/or Horticultural entries identified with the Flower Show Class as defined in the Flower Show booklet. Each Design entry has the Class designated. In addition, Horticultural entries give the common name and scientific name for the item submitted. The club maintains a collection of gardening books in its cabinet at the First Congregational Church. The Club librarian displays several books at meetings. Club members are encouraged to donate gardening books to be used as reference material by other members. The South Haven Garden Club members provide landscaping or garden(s) at a newly completed Habitat home in the SH area. Recipient of the home helps plan the garden. We are keeping up the tradition to plant a Kousa Dogwood – South Haven’s city tree – at each Habitat house. The front and side of the house is included and sometimes provide a vegetable garden if requested. The planting of the garden personalizes and beautifies their new home – frequently this is the first home the recipient has ever owned. They learn about their gardens, including care and maintenance, which are so important for pride in ownership. Club volunteers work with the future home owner to determine what they like or want, provide assistance with the design of the garden(s), obtain all the planting materials, and install the garden. This is an occasional project occurring every few years. How many volunteers are needed to do what? The South Haven Garden Club provides plants, soil and tools for the homeowner. Costs vary but average is about $500. We don’t receive any monetary in-kind donations. Occasionally local nurseries or landscapers will provide material or labor donations. The South Haven Garden Club has a number of projects at this Museum. We provide regular upkeep for the National Federated Garden Bench and the Martha Warner Daylily Garden. We also provide financial assistance for the Bailey’s Budding Naturalist program. It is an especially meaningful to have Club projects at this horticulturally prominent Museum. It is the birthplace and childhood home of America’s “Father of Modern Horticulture” and a founder of the “New Agrarian” philosophy, Liberty Hyde Bailey. It’s wonderful having such an accomplished man come from our small town. Besides being a lovely museum, this is also a National Historic Site, educational outreach center, and culture hub in South Haven. How can the club members participate? Club members can do pure gardening here in caring for “our” bench and daylily garden. We do all the normal activities including clean-up of the gardens in spring and fall with watering and dead heading flowers weekly during the growing season. 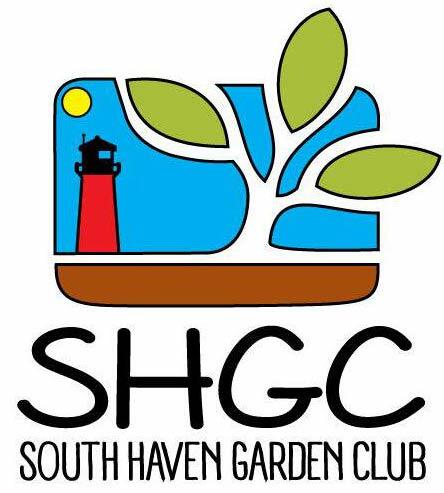 The South Haven Garden Club provides plants, shrubs and garden maintenance supplies for our gardens. Plus we donate funds for the Budding Naturalist camp program. We donated $500 for the summer 2015 camp. We do not receive any in-kind donations. How many volunteers are needed ?